Especially when they cost as much as a sports car and a regular SUV combined. Stuck in traffic the other day, I caught sight of what I believe to be one of the most wasteful cars in the world, the Mercedes GLS. While it's by no means my favorite Mercedes model, I certainly don't hate it. What bothers me more is the people that drive them. Why would anyone drive such an enormous car with no passengers. It's like using a jumbo jet to deliver a pizza. The GLS is an enormous car with seating for seven, and the driver was alone wasting all of that space. What makes even less sense is that it was the AMG version. Can anyone explain the purpose of performance SUVs? The Porsche Cayenne makes a little bit of sense, but the GLS63 AMG? This is a seven-seat family hauler with a 5.5-liter twin-turbo V8 making 577 horsepower. This is absolutely perfect if you are the one guy in the universe who's wife is fine with you launching the family car from 0 to 60 mph in 4.6 seconds with the entire family on board. The main argument in favor of performance SUVs is that they give people with families a way to enjoy themselves and be practical. This makes a fair bit of sense, but there is a far better solution and it comes from Mercedes, no less. 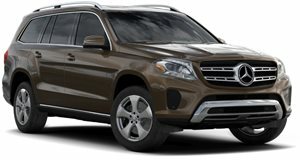 The GLS63 has a base price of $125,025, but for the purpose of this demonstration let's include Bang & Olufsen sound system for $5,400, second row sunshades for $380, and rear hooks for the headrests for $40. This brings our total price up to $130,850. You may be wondering why such a random number, but don't worry, there is a point to this. The argument for the GLS63 AMG is that you can enjoy a fast car that can also haul around your family. This way you don't need to buy an SUV and keep a sports car in the garage, because that would just be impractical. Or would it? 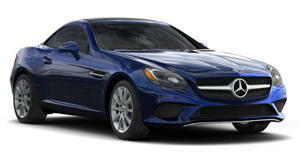 Based on the $130,850 price, you could have a base GLS450 and an AMG sports car in the garage for weekend fun. We aren't talking about used models either, these are brand new cars. The GLS450 costs $69,625 and comes with a perfectly adequate 3.0-liter twin-turbo V6 with 362 horsepower. It may be a lot less powerful than the GLS63, but with the extra $61,225 you will have exactly enough to buy an AMG SLC43. This comes with the same twin-turbo 3.0-liter V6 with 362 hp, and can hit 60 mph in 4.6 seconds. That is the exact same time that it takes the heavy GLS63 to hit 60 mph. For the same price as one performance oriented SUV, you could have a normal SUV and an awesome convertible to drive around on the weekends. Do performance SUVs still make any sense? Now, let's get back to the guy who I saw driving the GLS with no passengers. He was probably coming home from a long day of work to have dinner with his likely enormous family. Why else would he have bought such a large SUV? If he had gone with our alternative plan, he would have been loving life, driving home in his AMG-tuned sports car with the SUV waiting in the driveway for when he actually needed to haul passengers. Performance SUVs do seem like a neat idea, but not if they cost as much as buying a sports car in addition to a normal SUV.